Obstacle course racing (OCR) has quickly become one of the most exciting options in the endurance sector. And for good reason too. It offers more of an element of ‘fun’ as opposed to your standard 5 or 10km race. It’s an escape from the norm and allows us to be kids again on a giant, grown-up playground. If you haven’t yet taken on your first obstacle race, we’re here to tell you that you should. With such a variety of events, distances and obstacles, there is a race for everyone. If you’re UK based, check out Mudstacle for what’s going on in your area. So now you’re committed, you’re going to need to start training for the big race. Even a 5k race in OCR is tougher than it looks so we wanted to share some training tips with you. 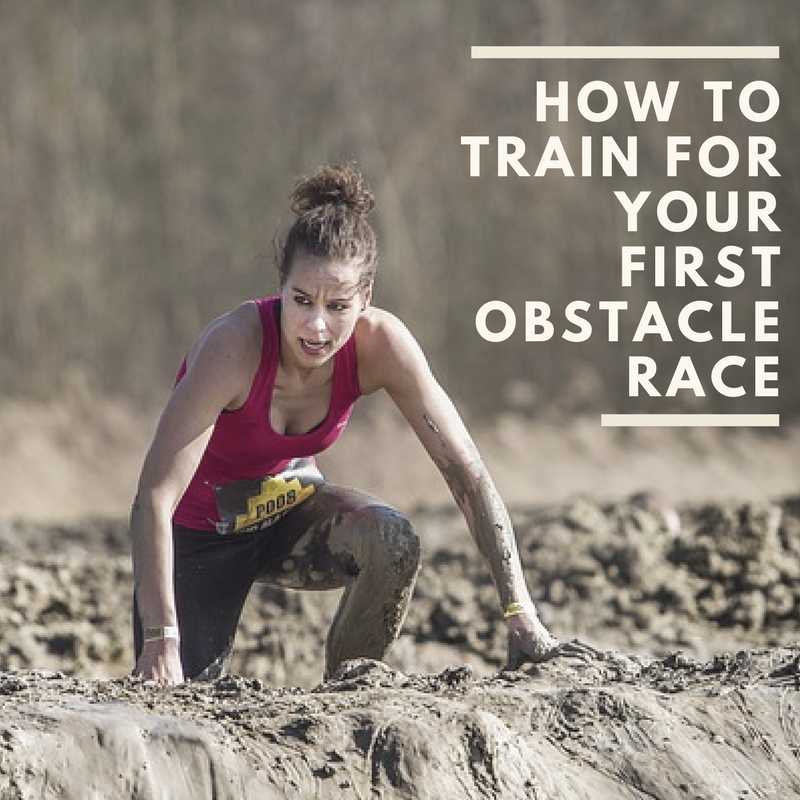 Here are five tips to train for your first OCR race. Yes, there are obstacles and yes, there is lots of mud, but don’t forget that this is essentially a running race sprinkled with extras. You need to be training to build your aerobic fitness levels. This means getting outside or on a treadmill and start clocking up those miles. It’s an endurance challenge first, strength second. If your first race is a 5k, try to be comfortable running a little more than that. The added weight and fatigue from obstacles you’ll be carrying will make the 5k distance much harder. Leading on from the last point, you’ll want to get comfortable running on rough terrain, most likely grass. It’s a lot harder to run in a field than it is on pavement or a treadmill. This presents you with the perfect opportunity to hit the beaten trails and get comfortable with running in the mud. Try running through the puddles, jumping across ditches and getting covered in mud to give you a little hands-on experience. It will also strengthen the muscles, tendons, and ligaments around your ankles, building your bodies defense against sprains and strains. Having a strong grip is the foundation of any pulling exercise. People tend to underestimate the importance of a strong grip as it something that you don’t typically work on in a daily workout. You will be climbing ropes, swinging on monkey bars and scaling high walls. Doing obstacle after obstacle can take its toll on your grip and forearms. Combine this with having cold or wet hands and mud-covered obstacles, it makes for one tough afternoon! Start incorporating grip training into your workouts early so you can be fully prepared for the race. One of the best exercises for increasing your grip strength is to simply hang from a rope or pull up bar for as long as possible. Try and relax all other muscles so it is only your hands holding your body weight. Want to make it a little harder? Try using a tea towel folded over a pull-up bar, the unstable surface makes it much more challenging. Most of the obstacles that you will encounter will require you to lift yourself over something. These require multi-muscle; compound movements that need to be prepared for. The mother of all strength-building exercises is the pull-up. The ability to lift one’s own body is key to compete in OCR. If you can’t yet do a pull-up, don’t worry! You can get started by using the assisted pull up machine and slowly work your way up. You are rarely going to have to lift your full body weight in a race, but the pull up is the best movement that you can do to prepare for the majority of the climbing obstacles. In the build-up to the race, you’re probably going to be a bit nervous. If you’re worried about the obstacles, take a look at the event’s website show you can get a preview of what’s ahead. This way you can adapt your training routine so that you are prepared for each one. The thought of the race is most likely much scarier than the actual reality of it. You’ll be ticking off a huge box by taking part and you should be proud of the commitment that you have made. Nerves are complete to be expected as well on race day itself. If you’re looking for a couple of tips about to deal with it, check out our blog piece on how to settle you pre-race nerves. Let us know how you get on in your first race, we would love to hear about it! Have they got you hooked?